The Washington Education Association is pushing for legislators to “restore local levy flexibility” as the state works on the final touches of its record $50-billion-plus budget. This happens as many school districts are announcing layoffs because of financial issues, Chewelah included. Last year the legislature approved $1 billion in extra funds for public schools to help with the transition, setting limits on what could be used for pay raises to about three percent for inflation. School districts had to negotiate with their own employee unions and the average pay raise in the Spokane Public Schools was not three percent but rather 13.2 percent. Click here for the full story. Cowlitz County Deputy Justin DeRosier was shot and killed on Saturday night while examining a motorhome that was blocking a road in the SW Washington town of Kalama. The man who was suspected of killing the officer was fatally shot by police officers the next day after he was seen running out of the woods with a firearm. Click here for the full story. North Eastern WA Humane Society has some upcoming events for YOU to come participate in! On May 4, come walk or run in the Furry 5K, which starts at 9 am from the St. Paul Lutheran Church parking lot. Walk with your pet for just $5, or add a shirt for $15! The Furry 5K kicks off PET LOVERS’ DAY! Pet Lovers’ Day offers LOW COST VACCINATIONS from 10 a.m.– 1 p.m., a petting zoo, Eileaha and her reptiles, Colby and his hawk, Agility play for your pup, and lots of visiting with other Pet Lovers!! Then, on May 18, NEWHS is having its first PUB CRAWL and 50/50 Poker! Cards will be dealt starting at 5:30 p.m. and continuing until 8:15 p.m. Local establishments who are participating are El Ranchito, The Oasis, The American Legion, Fired Up Pizza, The Sportsman, ChewVino and ending at Quartzite Brewing Company where the winning hand will be announced! 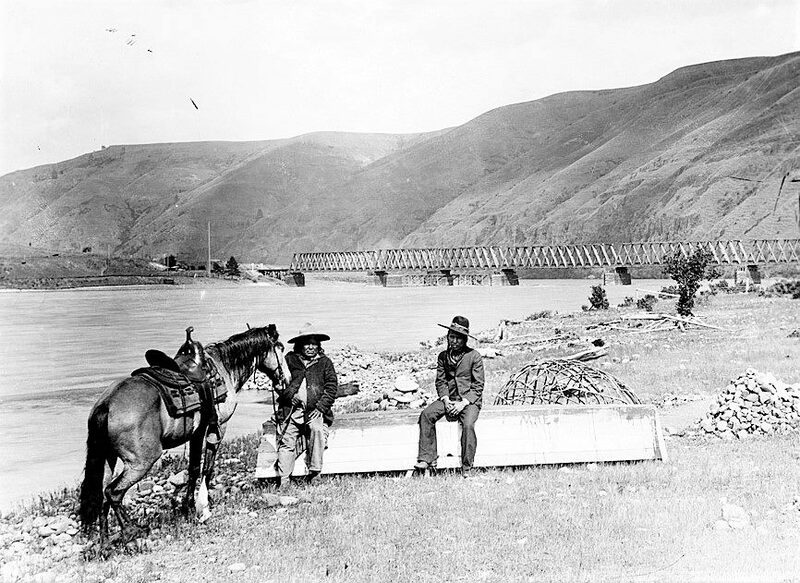 We continue to raise funds for a future shelter for Southern Stevens County. If you know of suitable property for lease or donation, please inform one of the officers! Deb Harbin is President for 2019-20, Becky Washington – Secretarty/Treasurer, Roberta Steggall -VP and local Board Member, Aubrey Markel. For information, find us on Facebook, newhumane.org, or email becky@newhumane.org. Hope to see you at one of our events! 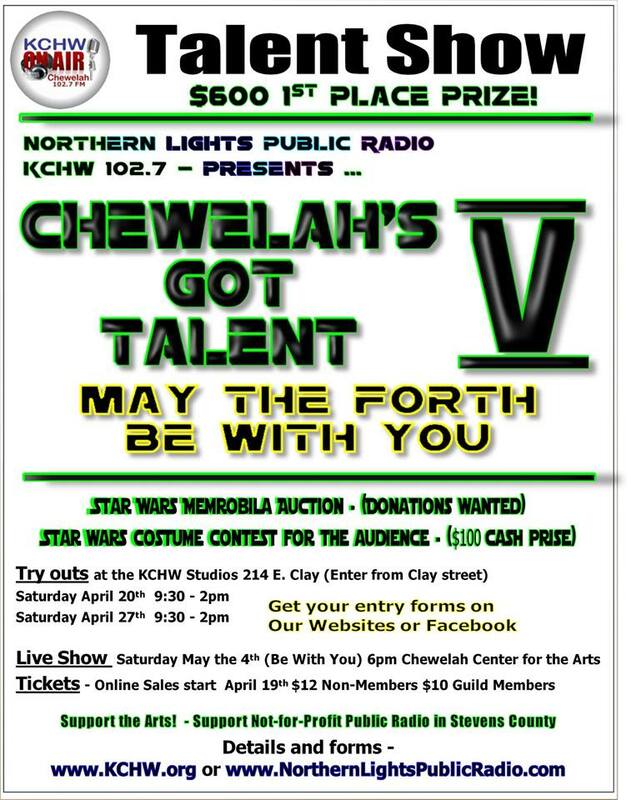 KCHW is hosting round one of tryouts this Saturday for their Chewelah’s Got Talent show, scheduled for May 4. Get your forms at KCHW’s studios and use the drop box at the door, or visit KCHW.org or www.NorthernLightsPublicRadio.com. Open to all Stevens County residents with first place earning $600.